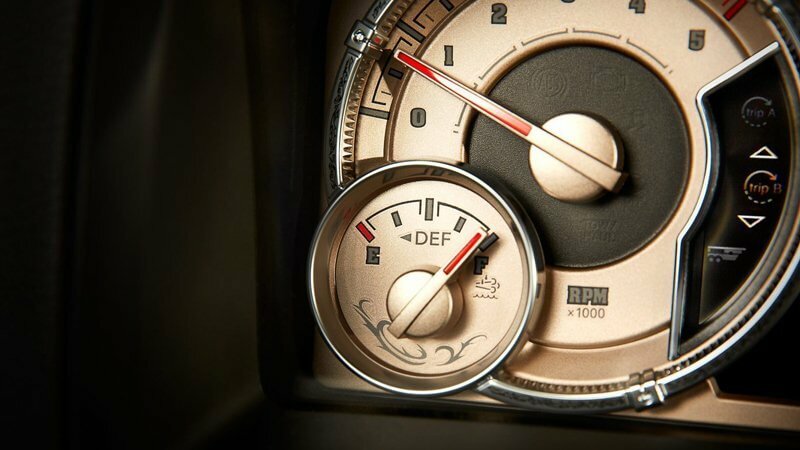 Combining comfort and capability, the Ram 1500 has reinvented itself to compete in a crowded segment. While it's still a great work truck with excellent off-road capabilities, this light-duty, full-size pickup has become more versatile for 2018 with exciting new features and cutting-edge technology. It's now a vehicle that's suitable for any purpose, from daily commuting and leisurely driving to hauling and off-roading. The 2018 Ram 1500 has all corners covered with almost a dozen trim levels, which include the base Tradesman, Express, Big Horn, Lone Star, Sport, Harvest, Night, Lone Star Silver, Rebel, Laramie, Longhorn, and Limited. These trims come with different body styles and bed lengths. There's the three-seater two-door regular cab with a standard 6-foot, 4-inch bed or an extended 8-foot bed. The four-door quad cab can seat six people and comes only with a standard box, while the crew cab offers either a 5-foot, 7-inch short box or a standard one. 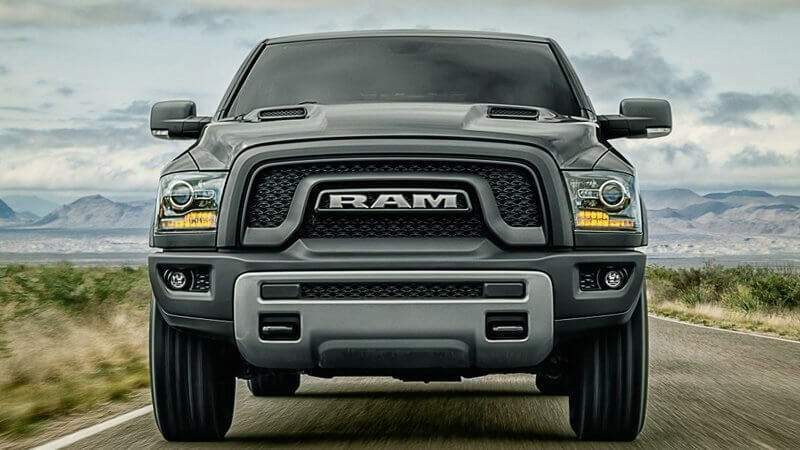 In general, the Ram 1500 looks bold and masculine with its large grille and protruding hood. However, some trim levels have different styling details. The Harvest trim comes in traditional farm-equipment colors, while the Sport trim has a body-color grille that resembles the snout of a swine. The range-topping Limited features a chrome grille with the word Ram, sport hood, unique badges, and satin-painted wheels. Three engine choices are available for the 2018 Ram 1500. There's the base 3.6-liter Pentastar V-6 engine that generates 305 horsepower. With this engine, the truck achieves a fuel economy rating of 17/25 mpg (city/highway) with RWD and 16/23 mpg with 4WD. Another option is a 3.0-liter turbo-diesel V-6 that churns out 240 horsepower. A potent 395-horsepower 5.7-liter Hemi V-8 is standard equipment for the Rebel, Longhorn, and Limited, and available on other trims. While this engine gives the 1500 the charging power it's known for, it's less fuel-efficient than the other two, managing only 15/22 mpg with RWD and 15/21 mpg with 4WD. 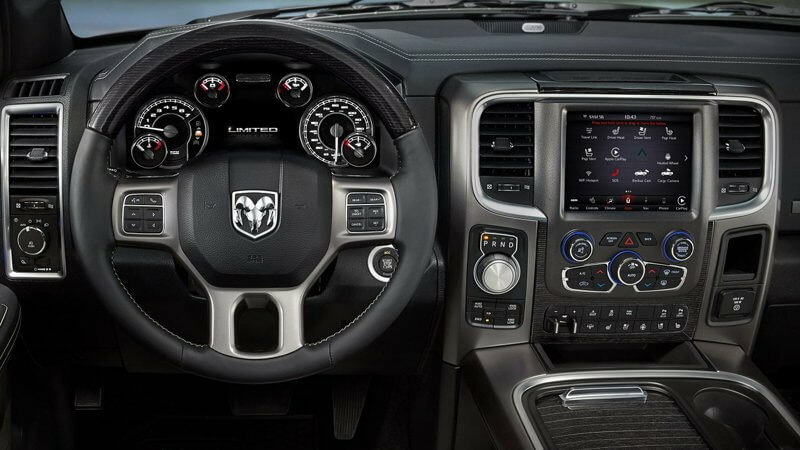 The 2018 Ram 1500 offers excellent steering capabilities and above average handling. With multi-link rear suspension, it provides a smooth ride on paved roads and uneven surfaces such as bumps and potholes. However, this truck truly shines when it's climbing, hauling, or towing. It comes with standard coil spring suspension for off-roading and optional air-spring suspension for optimal load leveling and drag reduction. 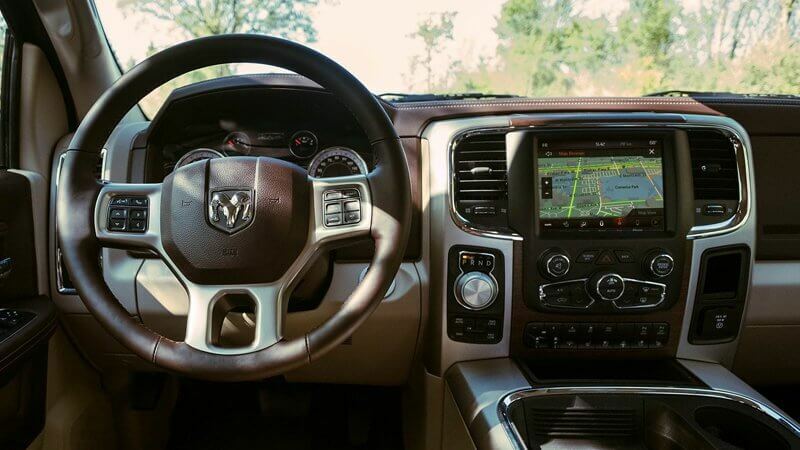 The 2018 Ram 1500 has a spacious and comfortable cabin. The standard features vary greatly from the lower to higher trim levels. 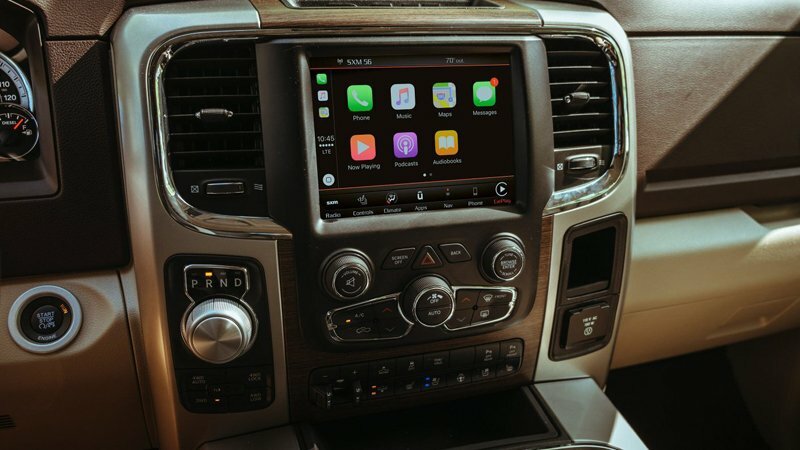 The base Tradesman gets vinyl upholstery, a USB port, Radio 3.0 user interface, and a 3.5-inch instrument cluster display. The Limited is much better equipped with ventilated and heated 10-way power leather front seats, heated leather-wrapped steering wheel, dual-zone automatic climate control, power sliding rear window, 10-speaker audio system, 7-inch instrument cluster display, and the Uconnect infotainment system with 8.4-inch display, navigation, Android Auto, and Apple CarPlay. 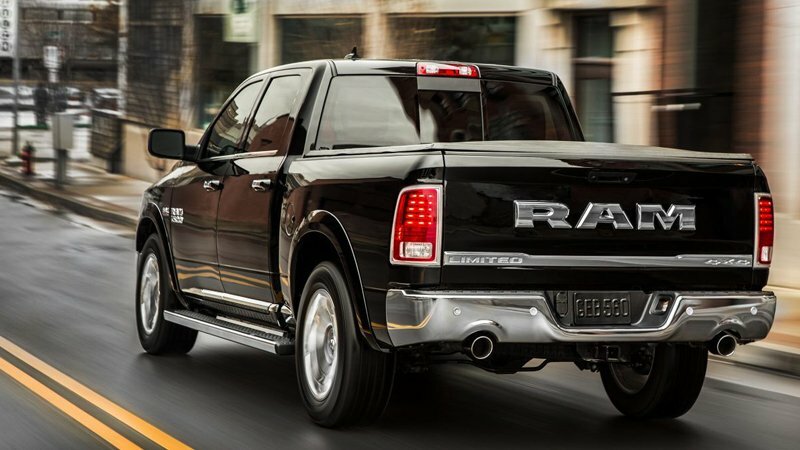 The 2018 Ram 1500 earned a four-star rating from the National Highway Traffic Safety Administration. To keep its occupants safe, it has front and side air bags and easily accessible LATCH points at the rear seats. Trims above the Big Horn have front and rear parking sensors, but only the Rebel offers rear sensors.